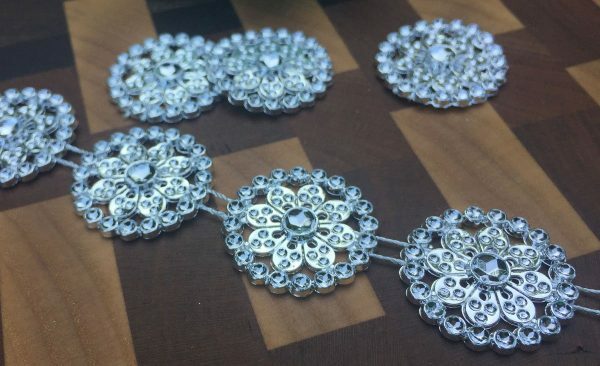 Blingy Silver Medallion Garland. Sold in 1 foot increments. I affectionately call this “Bling on a String”. 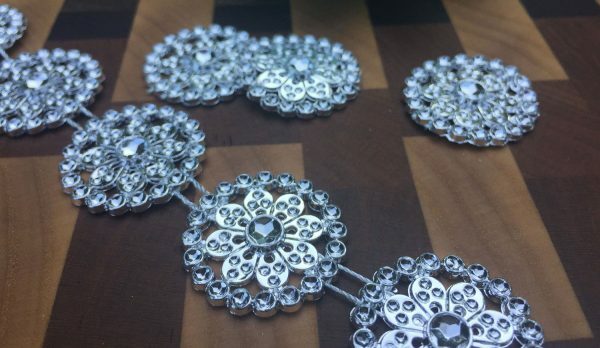 It’s a lightweight, plastic garland of shiny bits and rhinestones. You can leave it strung together, or cut it apart with scissors for some budget-friendly flower centers. 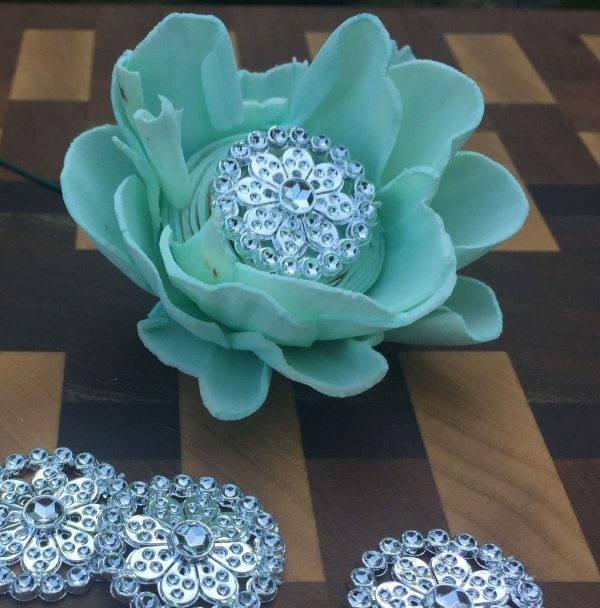 Good luck finding a brooch for only 10 cents a piece! 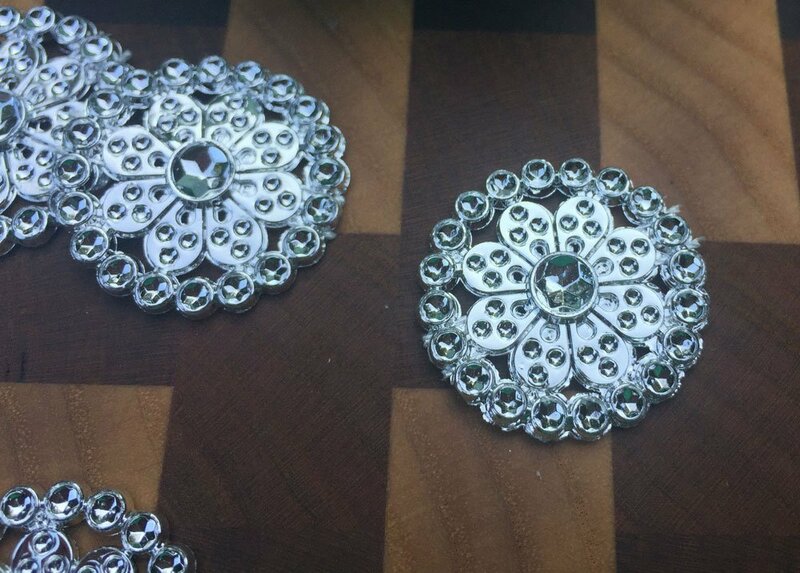 Each 1 foot section contains approximately 10 medallions and each medallion measures approximately 1 inch. Ordering multiples will give you a longer length of garland (example, a qty of 2 will give you a 2 foot piece which is 20 medallions) Flowers not included.